While there's a whole industry around getting into the top few schools in the country, one college counselor says putting all your efforts into those name-brand schools may not be the best approach. Here & Now's Jeremy Hobson learns more from Lisa Micele (@LisaMicele), director of college counseling at the University of Illinois Laboratory High School in Urbana, Illinois. Too many times, students focus on the outcome and not the process. This should be a journey of self-discovery, but instead it is often viewed as the way to validate hard work. Overapplying to schools, student loan debt, rankings obsession, mental health concerns — these issues are plaguing the process and robbing students of their joy. Students should build a college list — no more than 10 schools — all of which they will be happy and proud to attend. Growing and thriving during your undergraduate years is the goal. Do some soul-searching first and deep self-reflection. Students often bypass this part, which is the crucial first step to college searching. Thinking about your interests, values and abilities, your favorite classes and teaching styles, your "wants" in a college (paying special attention to the non-negotiables) — this is step one. Use free web tools! BigFuture (College Board), Niche, Cappex, Unigo — these are great sites to start your college research, whether it's searching for scholarships or reading about school climate and culture. Look at your personal statistics (GPA, test scores) and see how students with a similar profile have done in the admissions process. Data on search engines and scattergrams can be a good starting point to see how your academic profile compares to student profiles at each school. Talk with your high school counselor to see college outcome data from past graduates of your high school. Visit schools and devour their personal websites. I am often amazed at how little students use the college website. They rarely know where faculty "passion areas" are within a department. They will bypass videos and blogs that are clearly created to "tell a story" to prospective students. Do your research. Dig deep into department sites, faculty bios, student clubs and organizations, housing options (and their culture). Students must know why they are applying — and that takes time and thoughtful research. Use social media like Facebook, Twitter, Instagram and Tumblr to learn about schools. These are all great ways to read the most up-to-date news and learn about events — and controversies — on campus. Calculate your expected family contribution (EFC) and use the net price calculators to determine college cost early in the process. Building a balanced list also means "financial fit." Simply go to each college's financial aid website, and complete their net price calculator. You should also call financial aid counselors early at schools on your radar, to discuss their need-based aid policies and priorities. Research and inquire about merit aid, too, if any. Speaking of merit aid: When building your list, let colleges reach for you! Aside from need-based aid, the best source of aid will come from colleges offering merit scholarships due to your talents — academic, athletic, leadership, music abilities, social activism, etc. And, if you are above their student admitted profile, you can find schools that will offer you money, regardless of family income. Note: The uber-selectives do not offer merit aid. The privilege of being accepted is considered your scholarship offer. When you determine your college list, remember that your "Likely" schools must be schools you love and want to attend. Too many times, students look upon these as their "backups," or the consolation prize. Please stop this! Every school on your list should excite you — academically and socially — and also be a fit financially. If you work at a high school that "brands" itself based on college outcomes, please stop — and talk with your administration. Make sure that you are not focusing on the "top-tier schools" as bragging rights. What message does that send to your community? To your students? We are responsible for our message. Think more broadly about the values of your high school: What graduates have gained from your school faculty, staff and culture by being a part of your community. Focus on these measures when meeting with prospective families. Rethink how (and why) you host college admissions officers at your high school. When a parent group wants a college panel, who are you inviting? When an admissions counselor signs up to visit your high school, can you repurpose these events to fulfill a broader goal and purpose? Last year, I noticed that many fabulous schools visiting with us did not have the traffic I was hoping for, as students often discounted a school due to lack of knowledge. Today, when I host college representatives, I ask them to talk for 20 minutes about a part of the college search and application process. I am now offering "seminars" to our students, presented by those on the "college side" of the desk. At the end of this topical seminar, colleges can then highlight aspects of their school. The students are now attending a bigger variety of schools, thus forcing them to learn about more options and explore some of their stereotyped beliefs. Please broaden your view — and think about your purpose -- when you put together “college panels” in various cities and states. When the uber-selective "reach schools" travel together in a caravan, hitting local hotels and filling meeting rooms with anxious students and parents, what purpose are you serving? Does it really serve our students well when they hear a talk with five or six "reach schools" — all admitting under 12 percent (and some under 5 percent)? Redefine what it means to travel with peer institutions. 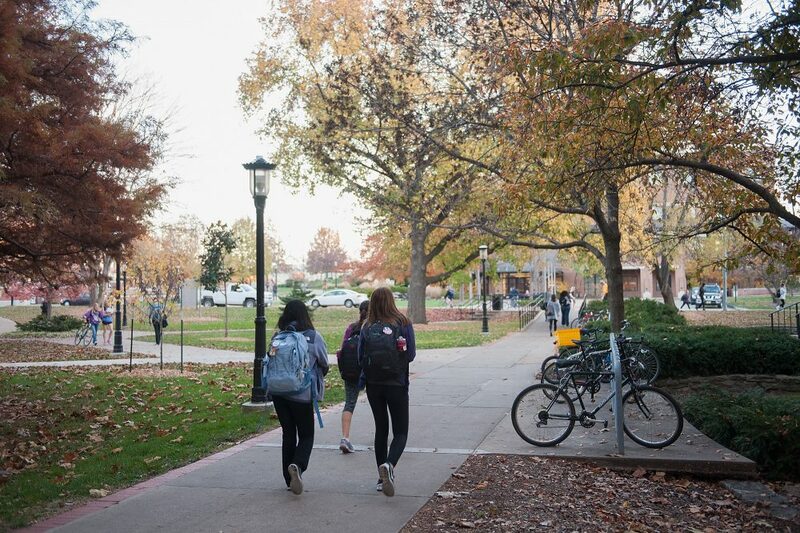 We need to see more colleges and universities to travel with a wider range of schools so that our students and parents will see a more representative sample of how to build a healthy and balanced college list. What Works For Successful College Essays?